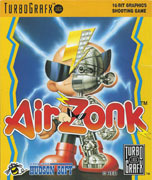 Air "Zonk" is a spin-off of the popular Bonk's Adventure series. 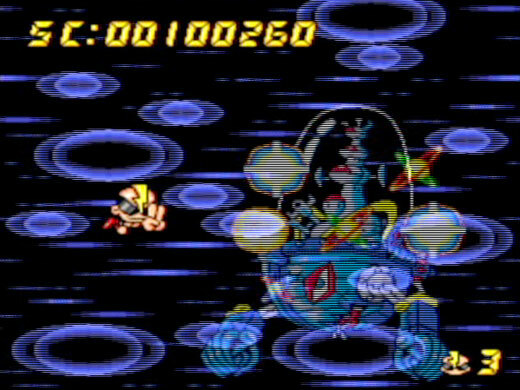 This side-scrolling shooter retains the same cartoonish style of Bonk but is set in a cyberpunk future. 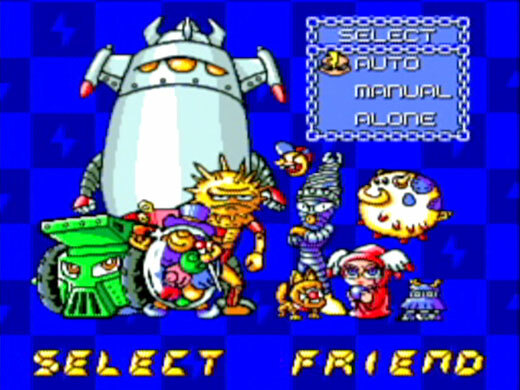 The powered-up "Zonk" gathers his friends to form Team Cool, and they set out to stop King Drool's plan to conquer the world. 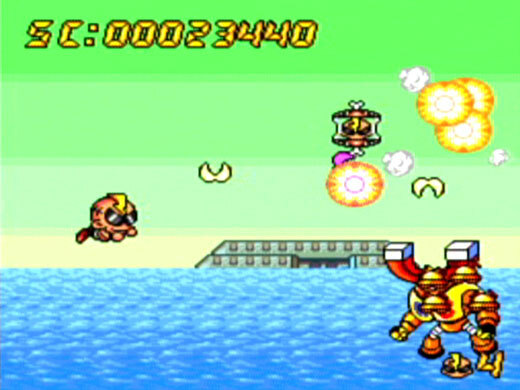 Choose from three levels of difficulty and three Friend Modes. 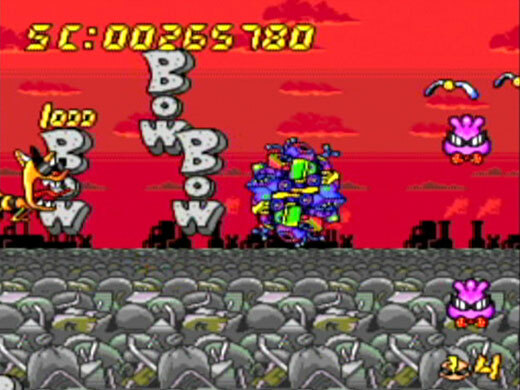 Shoot King Drool's cyber-robots and avoid their attacks while collecting the Air Bones to unleash a variety of unique attacks. 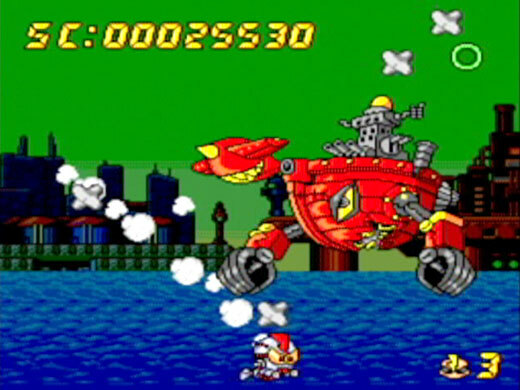 Combine with a friend to create an invincible hybrid form or blast enemies with a charged attack. 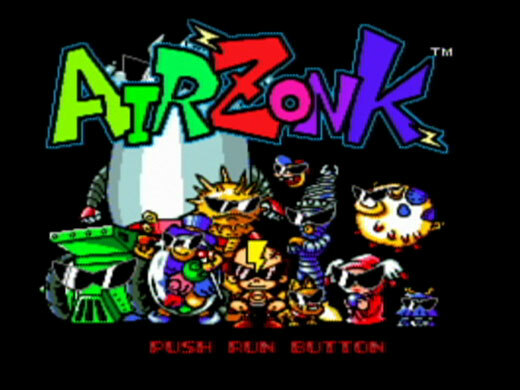 Air "Zonk" is filled with humor, made evident by the wacky theme song that plays when you post a huge score or when your game is over.